Experiencing WWII from the inside of a M4 Sherman tank was famously dangerous. Henry J. Earl retells his experience with the Sherman in a 1983 letter to Lt Colonel Haynes Dugan, one of the G-2 intelligence officers for the 3rd Armored Division. Unfortunately, many Sherman operators of WWII were not this lucky. The M4 Sherman was the primary tank utilized by the United States army during World War Two. It also became the main tank of the other Allied countries, except for Russia. The popularity of the Sherman was not due to its superior design, but its availability and mass production. On the contrary, this tank suffered from serious design flaws. Perhaps it is more appropriate to say that it was the soldiers within these tanks that bore the brunt of the Sherman’s problems. Sherman tanks first saw action in North Africa in 1942. 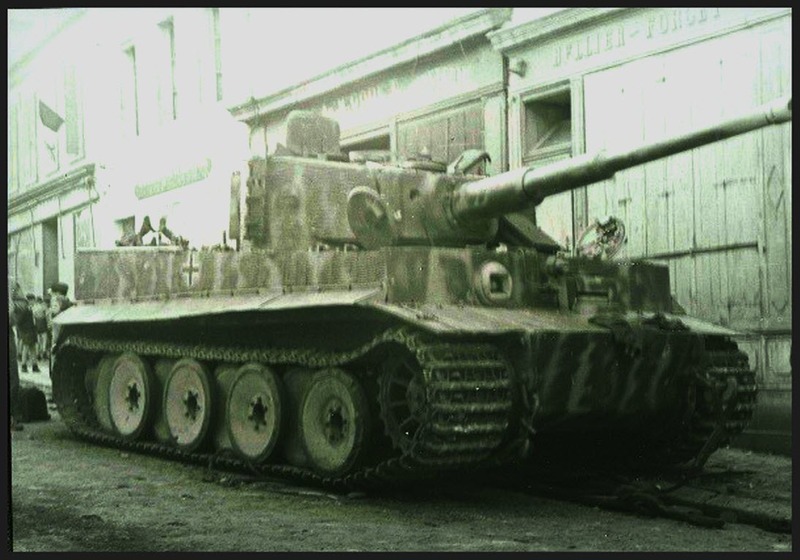 At the time they fared well against the German equivalent tank, the Panzer IV. It was for this reason that the Army thought the Sherman would be able to hold its own during the invasion of Normandy and into Europe. This was not the case. Death Traps, Belton Cooper’s aptly name book about American armored divisions in WW2 evidences this fact. “German Tiger Tank” RS 26/20/76 MMischnick , France, Aug.27-Sept. 2, 1944. Sherman tanks were not nearly as efficient or as armored as the primary German tank, the Panzer IV. This was a fact even before the upgrading of Panzer gun barrels and armor in 1943. Shermans were under-gunned when fighting German Tiger tanks and out-maneuvered when facing German Panther tanks. These disparities are shown in an account of the famous Lt. Colonel William B. Lovelady, commander of the 3rd Armored Division’s 2nd Battalion, retold by Lt. Colonel Haynes Dugan. In the course of the war, tactics of coordination, as well as better ammo storage systems, were implemented to reduce the tank’s many deficits. Armored divisions also kept very efficient repair crews. [v] The faults of the Sherman were also balanced by the sheer number that could be manufactured and the speed of this production. 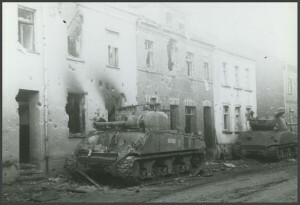 Regardless of the reasons for the Sherman’s problems, individuals of the Third Armored division dealt with them in their daily lives. The Sherman M4 medium tank proved to be both a “death trap” for American soldiers and a poor defense against German tanks. However, its use by almost all of the Allied Forces was crucial to their ultimate success in WWII. Clearly, the 3rd Armored Division Archives can lend perspective to both the heroic, and dangerous, actions of WWII and the most frustrating aspects of quotidian Army life. 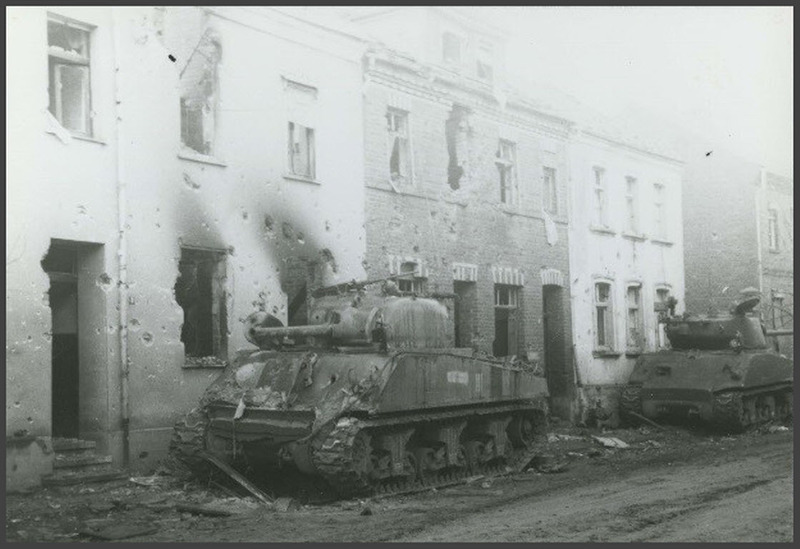 By utilizing the archives’ many personal stories of soldiers and the wide range of supplementary documents, one can find an answer or discover a brand new set of questions within the 3rd Armored Division Archives. Letter to a Mr. von der Weiden from Henry J. Earl (1983). Haynes Dugan Papers, Record Series 26/20/76, Box 1, Folder, Jan-June, 1985.
 Cooper, Belton. Death Traps. Random House, 1998. xii. Correspondence from Haynes Dugan to Walter Stitt. Book Review, Record Series 26/20/76, Box 10, Folder 1998, January-September, p.4. Cooper, Belton. Death Traps. Random House, 1998. xiii.